DataMan® 70 is a compact fixed-mount barcode reader providing the highest read rates for 1-D and 2-D label-based barcodes. With advanced image formation and a small footprint, DataMan 70 is the ideal solution for slow-moving or high speed manufacturing and logistics applications. DataMan 70 is equipped with industry-leading 1DMax® with Hotbars and IDQuick® barcode reading algorithms that reliably read label-based 1-D and 2-D barcodes with variations in contrast, blur, damage, resolution, quiet zone violations, and perspective distortion. DataMan 70 is small enough to fit in the palm of your hand. Its compact design and flexibility eliminates the need for equipment redesign or complicated optical paths with mirrors. 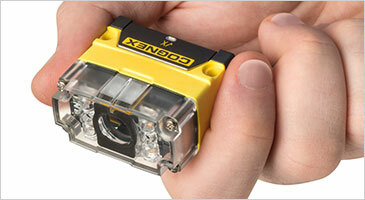 Advanced Control Solutions is a Cognex DataMan 70 distributor in Georgia, Tennessee, Alabama and Mississippi. We offer free evaluations and technical support to help our customers solve their applications.